An unlikely suspect had Morgan Hill police in a tizzy Saturday morning. An emu escaped from a farm on the 16000 block of Hill Road and then proceeded to lead officers on a foot pursuit. They said later that officers had caught the emu and no one – of the avian or human variety – had been injured. “Charges pending,” they quipped on social media. Other Bay Area law enforcement agencies joined in the fun. Fremont police tweeted: "Nice job! Does she have priors?" 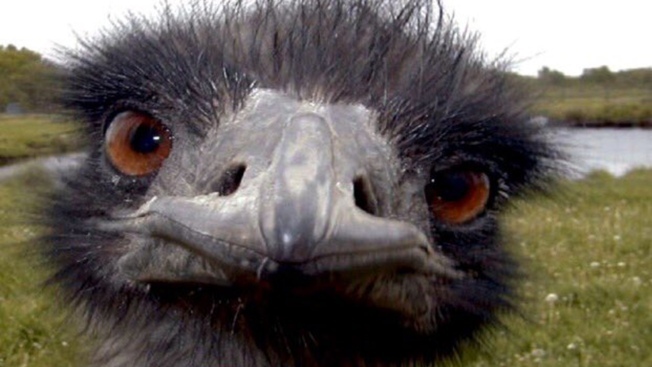 In response, Morgan Hill police said the emu has a history of resisting arrest. Meanwhile, the Sunnyvale Department of Public Safety said the "Fella looks pretty EMUsed for being captured!" Morgan Hill police appeared to enjoy that one, replying, "Well played guys. She was a little chirpy with officers."